Madison Geeks are the ones to trust to recover your computer data from laptop, desktop, external hard drives and RAID. We have been recovering data from crashed, clicking & failed hard drives for the Madison area since 2007. 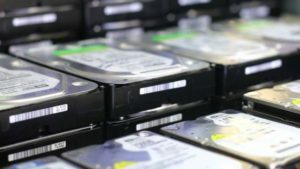 Our hard drive data recovery services can save your company (and even your job) when mission critical data is on the line. From hard drive failure, software corruption, and even human error (when someone accidentally deletes files or formats a hard drive. Believe us it happens). For businesses, individuals, government agencies, schools, and universities. Play the video below to hear what a failing hard drive sounds like. The computer hard drive is not broken with a logical hard drive failure. The hard drive data architecture is there, but the hard drive can't read and sort data properly. The logical hard drive failure can mainly be pinpointed to human error like accidental file movement. Your hard drive can crash if you accidentally delete, move or overwrite software system files. This occurs when a hard drive is physically abused. Think of a laptop that's just thrown on a couch or dropped on the floor. Mechanical failure also occurs in desktop drives mostly due to age of the drive. There is a problem with the internal components of the hard drive. You will usually hear a clicking noise when the computer is on. If you hear a clicking sound when you turn on a laptop that has just suffered from a nasty fall, chances are that you have broken the integrity of your hard disk drive. What Types of Data Do You Need to Recover? Financial Data: Quickbooks, Quicken and more. Databases: SQL, Microsoft Access and more. Documents: Documents, Spreadsheets, PDFs, PowerPoint. Our data recovery technicians are the ones to count on to get your data back in a timely manner. 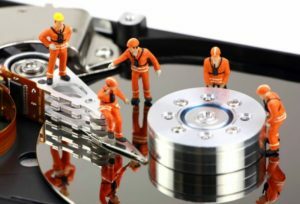 If necessary, an emergency data recovery technician can be dispatched to your location to expedite the recovery process and keep your data safe. Protect your data and your equipment from further damage. Turn off your system and write down the symptoms you are experiencing. Try to be specific: a hard drive that's making a clicking sound, RAID controller failure, RAID drives in degraded mode, empty containers, BIOS errors, or multiple hard drive failure.